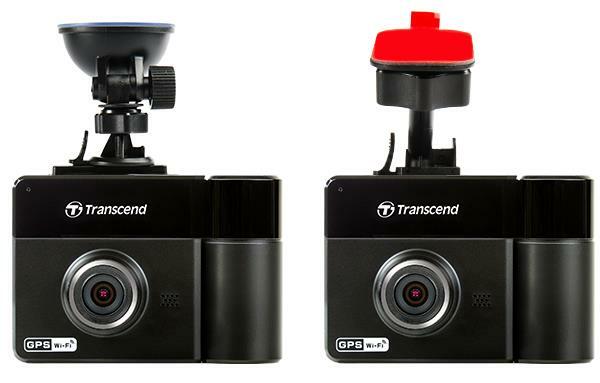 The Transcend DrivePro 520 is a dual dashboard camera that is suited as a taxi cam or Uber Camera. The camera has a front lens that captures everything on the road ahead while the rear / interior camera records what is happening inside the vehicle. The interior camera comes with 4 infrared LEDs with helps illuminate the vehicle’s interior at night time. The camera is sold by Transcend, the well known Taiwanese memory card manufacturer (a 32GB Micro SD card is included with the device). The DrivePro 520 is based on the Novatek NT96655BG processor and Aptina AR0330 CMOS censor. This combination provides 1080p video for the front camera at 14Mbps and 720p video at 7Mbps for the interior camera. The front camera has good quality video during the day and average video quality at night. The interior camera also has good daytime video quality but night time quality is average at best. At night the video is black and white due to the infrared LEDs but there have been some complaints that the 4 LEDs are not strong enough to provide good image quality for the rear passengers. One nice feature of this camera is that the interior lens can rotate 180°. This can come in useful if you are pulled over by the police and you would like to record that interaction. The camera swivels on the left hand side so it is suited for cars that have the driver’s seat on the left. The DrivePro 520 has Wi-Fi capability that allows for live streaming, transferring of video files and configuring the device using the free iOS or Android app. We recommend using 1 minute clips for this camera if you plan on using the WiFi function since transferring large clips to your smartphone takes a long time. The camera comes with a G-sensor, 2.4″ screen and integrated GPS. Overall build quality is quite good as well. This is a large sized camera at 96.2mm × 64.5mm x 43.9mm and the rectangular form factor is not the most discreet. Also there is a shiny ring around the lens and white lettering. These can be blacked out with a marker to make it less visible. The DrivePro 520 is available with either an adhesive mount (Model TS32GDP520A) or a suction cup mount (Model TS32GDP520M). Check the model number and / or description before ordering. Some owners have indicated that the WiFi does not connect, causes failed downloads or the camera freezes. Make sure you are using the latest firmware and try another Smartphone / Tablet to see if the problem persists. You can download the Teardown PDF file here. 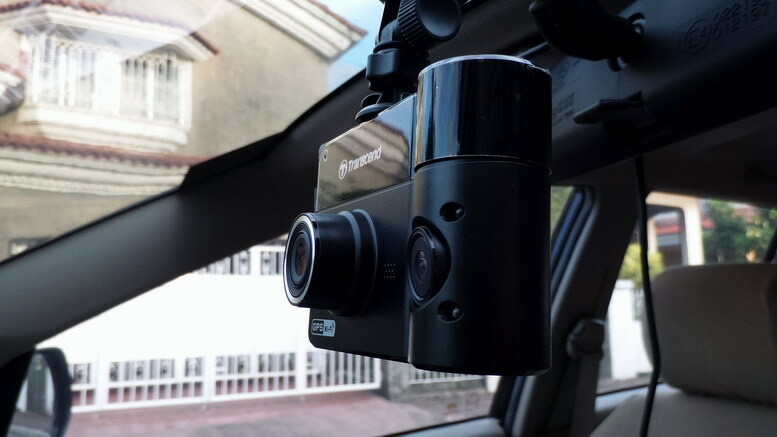 The Transcend DrivePro 520 does a good job as a taxi cam / Uber cam. Video quality is good (with the exception of interior night quality), build quality is decent, has WiFi and GPS and initial reliability appears to be good. Price is a bit on the higher side at $200 and the camera is not discreet but the DrivePro 520 does perform better than many of the cheaper taxi cameras available. Overall a decent buy if you are looking for a taxi cam. See our complete comparison on the main dash cam page. 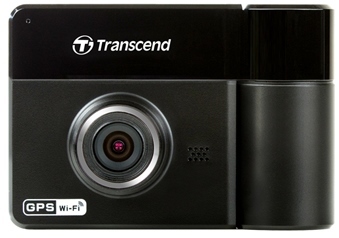 The Transcend DrivePro 200 sells for approximately $200 on Amazon and eBay. The latest firmware can be found on the Transcend site. Final Word While night video quality is not the best, this is one of the better taxi cams available today given all the features for the money.